Costa Mesa is home to a variety of neighborhood parks, which offer residents a place to enjoy nature and recreational activities. On the Westside, one of Costa Mesa’s neighborhoods, the community can enjoy Canyon Park, which is located at 970 Arbor Street, near the intersection of 19th Street and Whittier Avenue. On June 19, 2010, there is a very special event happening at Canyon Park – The Battle of the Brush. The Battle of the Brush is the first ever annual junior high school football community service event. In an effort to clean up the park and showcase the community, the teams will be sprucing up the park. 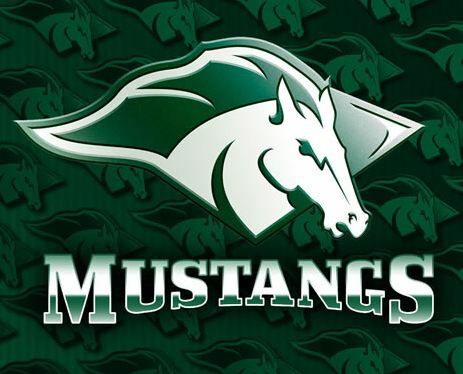 The civic minded students and coaches (Costa Mesa High School Mustang Coach Jeremy Osso and Estancia Eagles Coach Mike Bargas) will take to the “playing field” and give the park a mini makeover by raking, trimming trees, pulling weeds, and more. Thanks so much to the City of Costa Mesa for loaning the teams tools and providing trash pickup. The event is the culmination of a dream long held by the High School Booster Presidents Frank Albers (Costa Mesa High School) and Steve Mensinger (Estancia High School). Since Costa Mesa supports these teams, the teams are thrilled to give back. This isn’t the first time that Canyon Park has been cleaned up by the community. Back in 1994 the park had a cleanup day as well where members of the community removed litter, cleaned up weeds, and added new plants. Then in 1997 there was an Earth Day Cleanup as well. We admire the giving spirit of the football teams – thanks for giving back to Costa Mesa and keeping it a beautiful place to live… You make our Realtors proud! About Torelli Realty: Torelli Realty has been proud to represent Costa Mesa real estate since 1984. Costa Mesa is our home too so we strive to support the community. Torelli Realty deals with Costa Mesa homes, Costa Mesa apartments, Costa Mesa rentals, Costa Mesa property management, and offers home improvement and home staging tips to help your home’s value throughout Costa Mesa and in Mesa Verde. Torelli Realty is also an expert in Costa Mesa short sales and Orange County short sales. Feel free to contact Torelli Realty for a consultation and for all your real estate needs. We’re so proud to welcome two new agents to our real estate sales team at Torelli Realty. The real estate market in Costa Mesa has remained strong and as a way to make sure our clients are serviced in the best way possible we’ve added Jim Fisler and Roger Turk to our staff. Jim Fisler knows Costa Mesa inside out since he’s lived her for the past 40 years. With more than 5 years of real estate experience he’s a fantastic addition to our company. 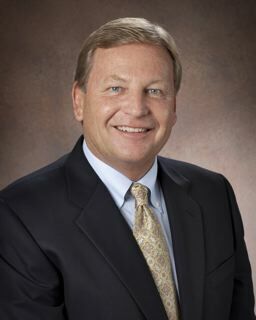 He has strong ties to the community and serves as vice president of Mesa Consolidated Water District’s board of directors and previously served as vice-chair of the Planning Commission for the City of Costa Mesa and as Parks and Recreation commissioner. Roger Turk is also in tune with Costa Mesa since he has lived her for more than 10 years. As owner of a mortgage lending company, Roger has been in real estate since 2001 and previously presided over of a local real estate firm. Turk is also involved with Costa Mesa’s AYSO and the National Little League Board and he’s a valuable addition to our team. We’re thrilled to have Jim and Roger join us. They’re a welcome addition to Torelli Realty and will help us offer quality and support to our clients. Welcome gentleman! Torelli Realty would like to announce this year’s Snow Land, fun-filled holiday celebration that the Costa Mesa real estate company is sponsoring at Balearic Park. For the past 15+ years Torelli Realty has hosted the event that came to be known as Snow Hill. In the beginning Torelli Realty brought in snow to create a children’s play area for a crowd of about 200 people. Its success captured the attention of the City of Costa Mesa, who offered to resources to blow in 60 tons of snow on the hill in Balearic Park. Over the past five years nearly 2000 people have enjoyed the festivities at Snow Hill, which are due to the generous contribution and vision of Torelli Realty along with the staff help provided by the City of Costa Mesa. Sadly, due to financial constraints this year, the City of Costa Mesa will not be able to assist with staffing the event. Undaunted, Torelli Realty plans to bring back the original snow area, which will be called Snow Land. Torelli Realty will proudly sponsor the event on Saturday, December 12 at Balearic Park from 12-3pm. Snow Land will offer an area with snow for children to play, a cookie decorating booth, crafts, pony sweep, train rides, entertainment provided by the Estancia High Cheer Squad and of course Santa! Santa may not come by helicopter this year, but be there he will. Food, refreshments, and popcorn will be available as well. As always the event will be free to the Costa Mesa community and all proceeds from the food booths will go to local schools. Even though Torelli Realty funds the event event every year, without the help of the City of Costa Mesa, Torelli Realty does not have the necessary manpower to blanket the hill with snow but the Snow Land at the bottom will still supply enough snow for snowmen and snowballs. Though the event will be smaller than the recent ones, Torelli Realty still wishes to encourage the spirit of the holiday season. Hopefully the city will have the finances to rejoin the holiday event in the future but for now it’s time to get out there and enjoy the meaning of the holiday season at this year’s Snow Land! WHEN: Saturday, Dec. 12, 2009. Another holiday tradition is also taking place in November – the annual tree lighting at South Coast Plaza. This year’s 96-foot tall white fir tree has arrived from Mt. Shasta, which is nearly 700 miles from the palm tress of Costa Mesa. Costa Mesa residents and anyone else who wants to check out the annual tree lighting are invited to attend the official ceremony on Thursday, Nov. 19 at 6pm. Santa Clause will be present and the Orange County High School of the Arts will perform for the public. WHEN: Thursday, November 19, 2009. Torelli Realty is looking forward to ringing off the holiday season and Costa Mesa always has wonderful festivities. Events like this develop a strong sense of community, spirit, and pride. These are some of the traits that make Costa Mesa a prime real estate choice for so many buyers.